For this year’s April A-Z Challenge I blogged everyday using items taken from the letters written by my grandfather to my grandmother from 1907 to 1912, starting with “A” and moving right through the alphabet to “Z”. I even managed 2 bonus posts on Sundays that were related to the theme. Doing them out of chronological order to meet the necessary letter bothered me until someone pointed out that I would have overlooked some of the words that gave the letters more context, as in H is for Henry Hummons or Q is for Questions. This year was much easier for me than last year. I think having a theme and material that was already there, did it. It probably helped that I did little else everyday this month besides work on the blog. I managed to visit quite a few new to me blogs and got some new visitors. Now, if I can just use May to put these letters into a print ready form, I will be happy. 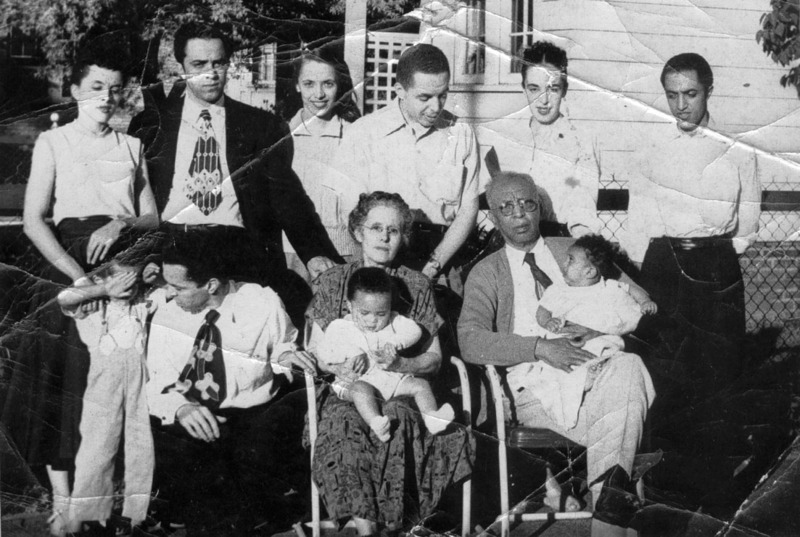 The header for this post is a picture of just some of the descendents of Albert and Pearl Cleage taken in 2012. My grandfather Albert B. Cleage Sr and me in 1948. 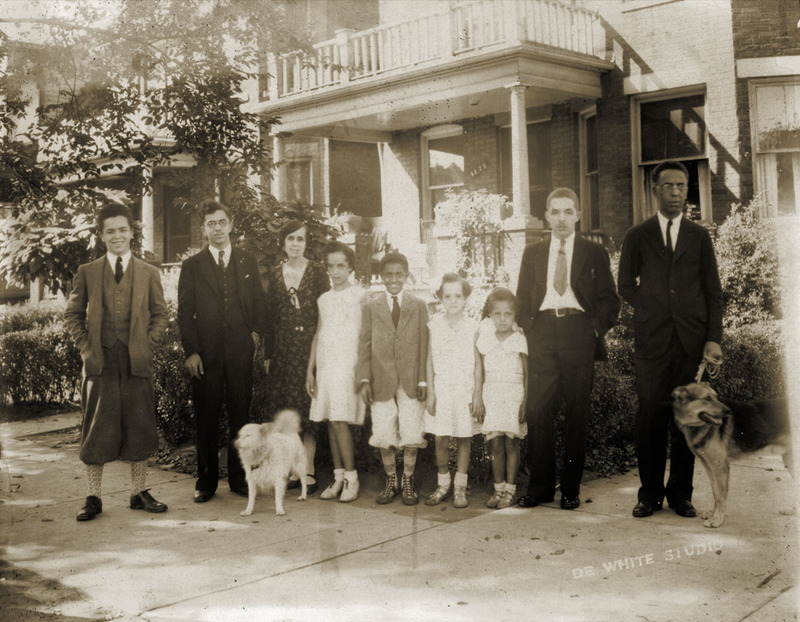 Pearl and Albert with their children and 3 of the grandchildren. My sister and I were at our other grandparents and the youngest 4 were not yet born. Their backyard at 2270 Atkinson, Detroit, MI – 1952. To see other reflections, CLICK! And it’s so cool to see that picture of you and your grandfather – how beautiful! I especially like that one because we are looking so pleasant. Usually we are dead serious. I’m so glad you chose this topic, Kristin. And I’m super-impressed that you are now in a position to be publish them–all the best with getting them “print-ready” in May. That what comes of planning! Maybe I will be organized enough to have a project in mind for next year. Incidentally, I just heard your sister Pearl interviewed on Tell Me More! I was so thrilled–couldn’t wait to come in and tell you. So many things came together so that I chose this topic. If my cousin Jan hadn’t sent me great scans of all the letters a few months ago, I never would have done it. I’m glad you got to hear Pearl. I have a couple of other projects in mind but don’t think I will wait until next year to do them. Maybe I have to give myself a month long challenge topic and organize it the way I did this. Your theme worked really well, Kristin and your final “wrap up” was spot on in pulling the threads together. It must be wonderful to have the group photograph and you look so cute with your grandfather. Thank you Sue. I wish we’d done a group photo of all of us later. I’ve got lots of group photographs through the years, but none where everybody appears. Those are really priceless. Great idea, wish I had thought of that. I have over 1000 letters my dad wrote to my mom during WWII. I greatly enjoyed looking at your blog!! I have a bunch of letters that my father wrote home when he and my mother were living in Los Angeles in the 1940s, also during WWII. I’ve blogged a few. And there’s always next year to blog yours! I have been thinking of using online publishing after I pull it together. Thanks for the info. There were so many blogs to visit that I felt swamped! I did mange to visit quite a few but I know I missed some good ones. Beautiful photos and wonderful project. My mom gave my the letters my dad wrote to her when they were courting, and even after they were married, a whole fat sheaf of letters and my father was a true writer. And a romantic, too. Nothing like having these letters as a window onto the ones before us. They are extraordinary. This is so true. I think my mother shredded all her letters and diaries after she and my father were divorced. I have some of my father’s letters home, but nothing he wrote her or she wrote him. Maybe because they were in the same place. I found this blog , through Pearl’s facebook. I love your photos and your blog . I have a wealth of family photos as well dating from late 1800’s, I am trying to put together a family history , and hope to learn much from you ! Gosh you guys rock ! thanks for sharing ! Good luck with your family history! I’ve learned so much doing this blog. 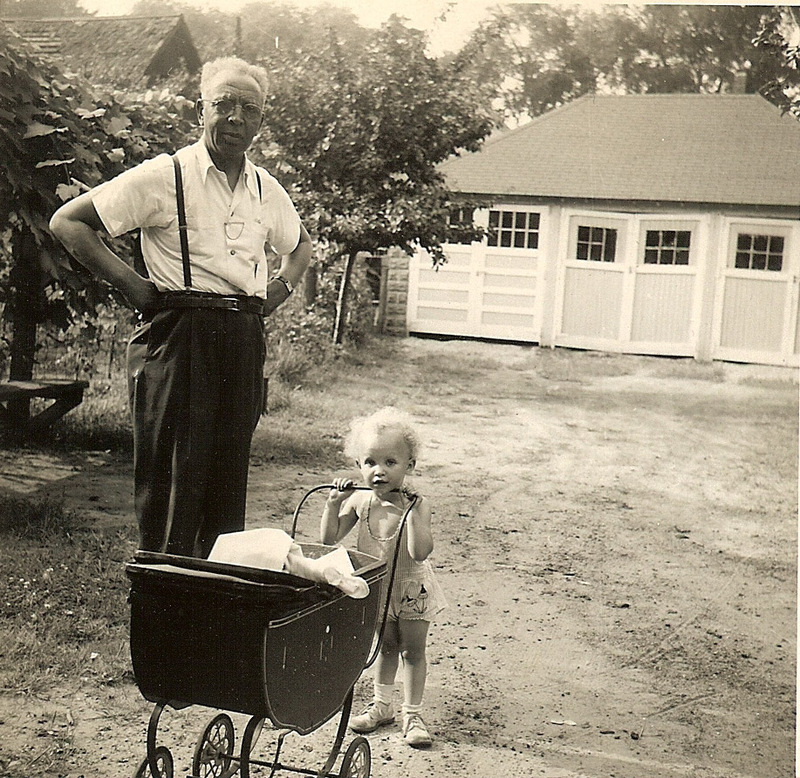 I loved and learned so much from your lovely blog about your grandfather and grandmother! I placed your blog as one of my all time favorites! Can’t wait til next year! I think your theme worked very well indeed. Congratulations on completing such a beautiful challenge. Thank you. I’m happy with it. Wondering if I should continue to explore my grandfather’s life. I really like your Header photo and the stories, you are sharing. I can’t wait exploring more. I wish I read German so I could read your blog!